Would you rather hold a photograph in your hand or view an electronic version on your mobile device or computer? It’s hard to generalize, but a third alternative, the photo book, is almost always a popular option. 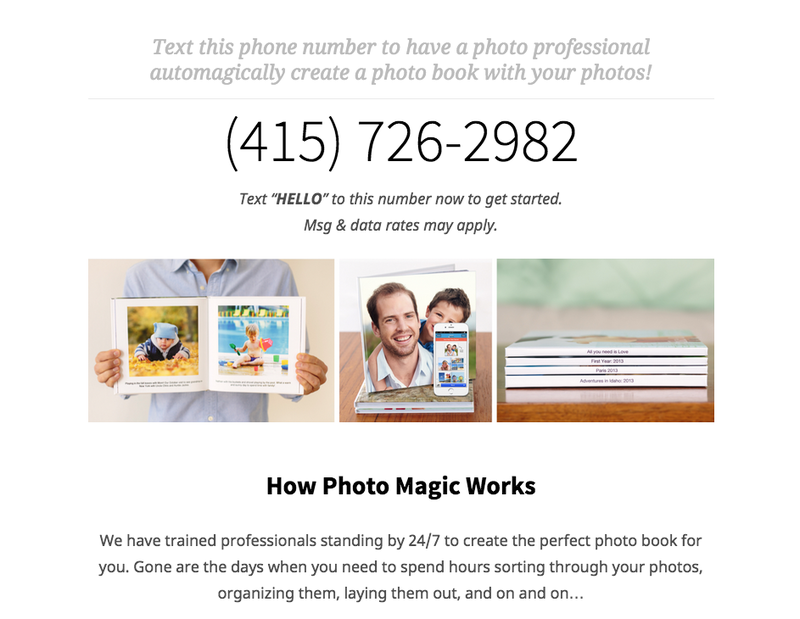 SimplePrints, a mobile book publishing outfit that’s been around for several years on both iOS and Android, has just launched a new service, Photo Magic, that makes it even easier to create photo books via an “SMS Concierge” photo book service. Targeted at millennials, Photo Magic employs warm and sensitive human being to create your photo books for you, at your direction. “In a nutshell, we are taking a very high-effort task — making photo books — and are combining it with human-assisted SMS to make it magnitudes easier,” SimplePrints CEO Matt Sullivan told TNW. It works like this: Whenever Photo Magic receives a text message, a “photo curation specialist” replies with some quick questions and a secure link for uploading your photos. It generally takes about 30 minutes to get a proof of your new book. You can request changes and edits to the book, and when you’re satisfied with the draft, you can choose to purchase it. Books are delivered within four to seven days from one of SimplePrint’s facilities in California or New Jersey. While you can download the SimplePrints app to create a photo book yourself — the app has been around since 2012 — with Magic Prints, you don’t have to. All you need to do is upload the photos you want to include. According to Sullivan, the “human interaction is especially helpful” when it comes to creating photo books, and that such contact increases the likelihood of an actual book being created and purchased. The Photo Magic service seeks to capture a new demographic — one which perhaps has been wanting to create a photo book, but until now has not found the time. 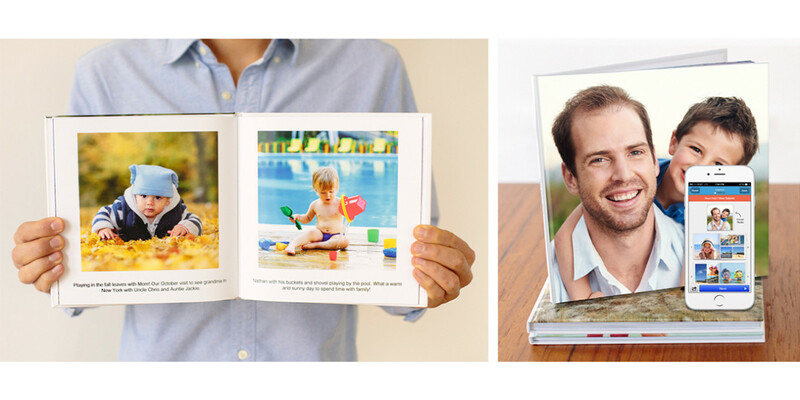 Photo books — which come in either 8×8-inch hardcover or softcover — have a matte finish, while the inside pages are a medium-weight semi-gloss. Softcover books start at $14.99; hardcover books start at $29.99, for 20 pages. Each extra page costs 50 cents, up to 200 pages. SimplePrints does not store your credit card number. Payment processing is handled by Stripe. When it comes time to pay for your book, you get a 128-bit encrypted HTTPS link via SMS that you can click to enter your credit card number. 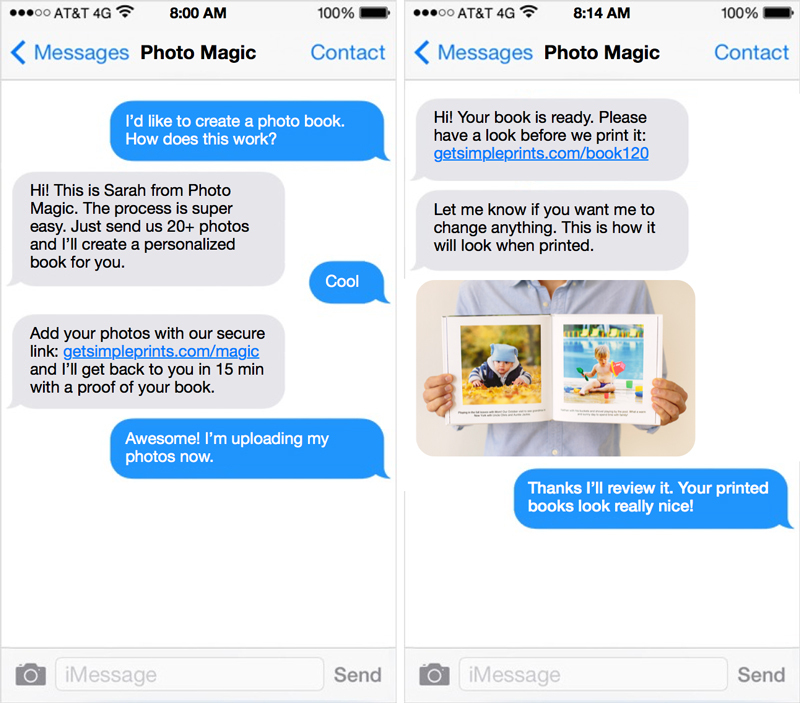 Photo Magic is currently available in the US.